Big-spending tourists from Russia, China and Saudi Arabia are being targeted by organisers of an annual shopping festival. This year’s Dubai Summer Surprises hopes to tap into the almost Dh532 billion spent by Chinese and Russian tourists worldwide last year. Both countries are ranked in the top five of the world’s biggest tourism shoppers. “While residents have always been our core audience, we have also witnessed an increase in tourists, in particular from three key markets: China, Russia and Saudi Arabia,” said Hussain Moosa, associate director of Majid Al Futtaim Properties, which owns Deira City Centre, Mirdif City Centre and Mall of the Emirates in Dubai. The emirate enjoyed a 54 per cent rise in Russian visitors last year, according to the Department of Tourism and Commerce Marketing. There was also a 28 per cent increase in tourists from China, and a 30 per cent rise from Saudi Arabia. About 20 per cent of all visitors to Mall of the Emirates are tourists, with 15 per cent heading to Deira City Centre, Mr Moosa said. The malls are working closely with Dubai Festivals and Retail Establishments, which is organising the month-long event from June 7, to attract international shoppers. “We have run campaigns in the GCC, India, China and Russia and we are expecting visitors from these countries to visit during the festival,” said a spokesman. “The message we are trying to get across to people in other countries is that Dubai is the best place to come in summer. Mr Moosa said malls had enjoyed double-digit growth in footfall and sales during the festival in previous years. “We anticipate strong results in terms of sales and footfall this year,” Mr Moosa said. “Last year, our three shopping malls in Dubai witnessed a 10 per cent increase in traffic and 15 per cent increase in sales. Hotels are offering deals to encourage visitors. The Fairmont hotel on Palm Jumeirah has a number of deals to attract families, with 50 per cent discounts on second rooms and 30 per cent off suites. “The majority of guests we expect to welcome will be from the GCC as well as western Europe,” said Martin van Kan, the hotel’s general manager. Shoppers can win cash or flights throughout the festival. Weekly prizes of Dh250,000 are up for grabs with every Dh300 spent at one of Majid Al Futtaim’s malls, while visitors to Mall of the Emirates could win a first-class return trip to London, Paris or New York with a stay in five-star accommodation if they spend Dh600 or more. 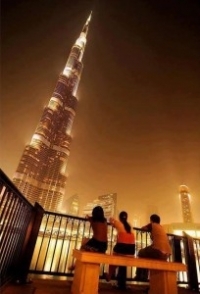 Dubai Summer Surprises was launched in 1998 and attracted 4 million visitors in 2011. It was originally two months long but has been shortened because Ramadan now falls during the summer.